Birthdays are a luxury many Ethiopians cannot afford, living in a country that is ravaged by HIV, poverty and ill health. Thanks to all our supporters, however, the children in our care are happily celebrating being another year older and we count it as a privilege to help them reach this milestone. 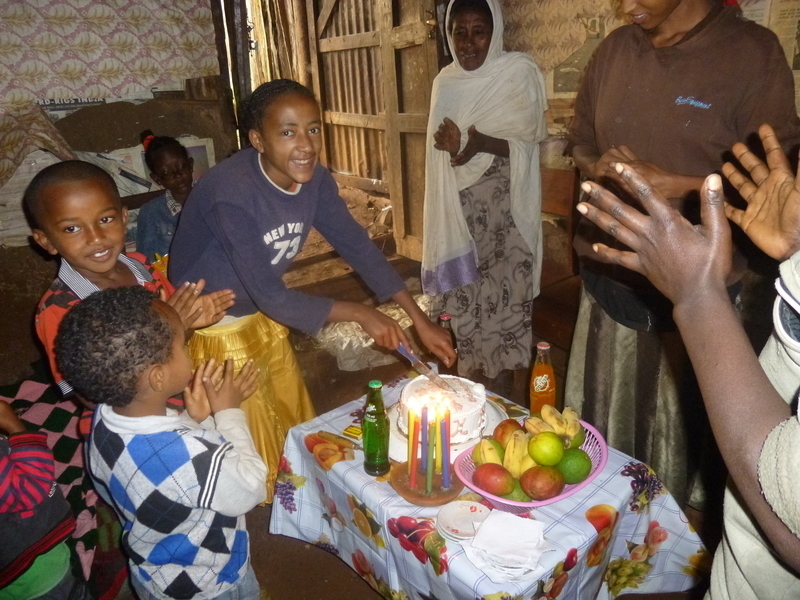 In our new care centre in Dembi Dollo, it is unlikely that any of the children have ever celebrated their birthday before. This month, four of our children have colourfully celebrated their birthdays, thanks to Stand by Me supporters! The families of the four children prepared local bread, boiled fresh coffee and lit birthday candles in a real celebration with their family and friends.